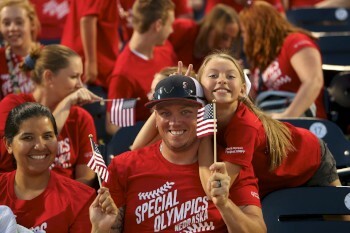 Special Olympics Nebraska families at the TD Ameritrade Home Run Derby. Special Olympics Nebraska is proud to partner with outstanding organizations in the Nebraska community who support our mission through volunteerism, financial support and awareness. We could not provide the quality and scope of our programs to people with intellectual disabilities without these vital partnerships. To become a champion for the athletes of Special Olympics Nebraska, connect your organization with us by reaching out to Sandi Hansen at shansen@sone.org. The Enable Savings Plan provides tax-free savings accounts for individuals with disabilities. You can save for current and future expenses without impacting your resource-based benefits.